Who said pizza can’t be healthy? It’s one thing if you’re ordering it with extra cheese and loading it with various meats but if you’re making it at home you get to control the ingredients and can enjoy the flavors while still watching your waistline. Pizza is my all time favorite fast food, actually it’s my only favorite. Don’t get me wrong, I love a good burger but only if it’s homemade and comes off the grill. Pizza on the other hand is something I’ll never get tired of eating and love that there are more gourmet pizza restaurants sprouting up around the city. Nothing like hot saucy pizza coming out of a brick oven with fresh, quality ingredients. I wish I could have it several times a week but I can really do without all the calories and well you know, gourmet doesn’t come cheap! 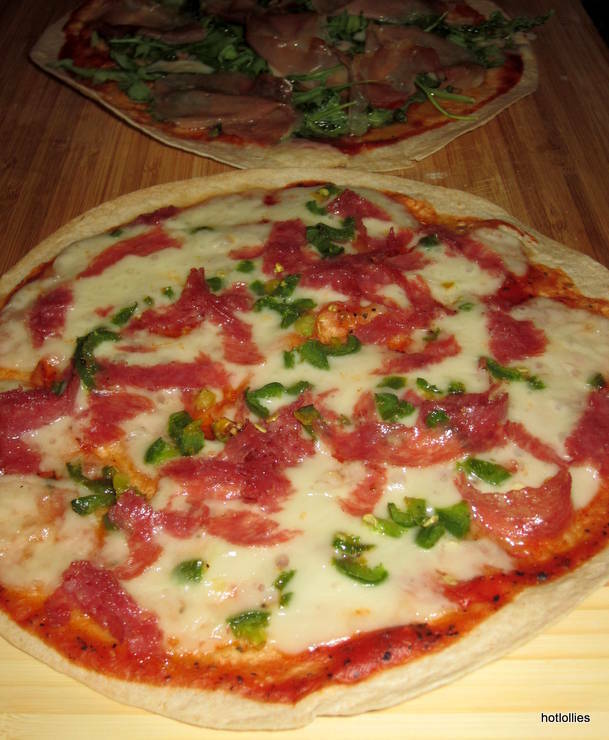 So every once in a while I make these thin pizzas on flour tortillas or wraps for a perfect low calorie alternative. 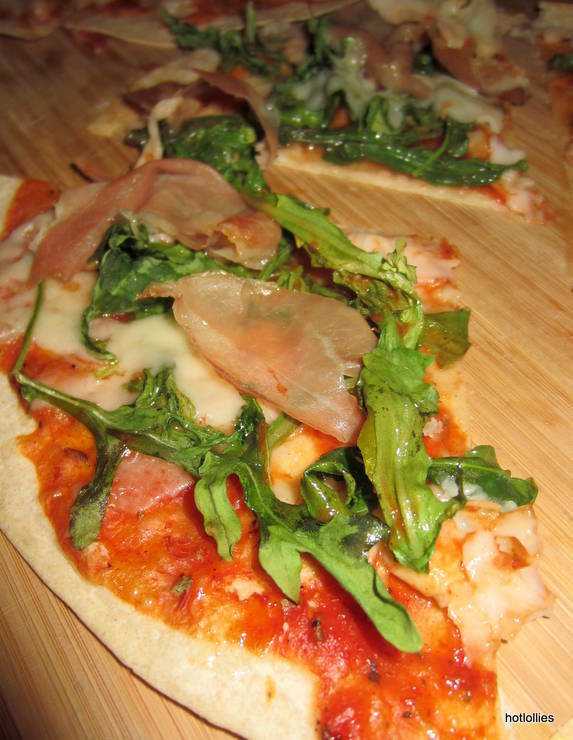 I made a salami, cheese and jalapeno mini pie and a prosciutto, baby arugula and shaved parmesan pie. It’s perfect for lunch or dinner and won’t have you feeling extra full and heavy afterwards. Add a thin layer of sauce on tortilla and just top with ingredients. The less meat and cheese you use the better the other flavors will come through. 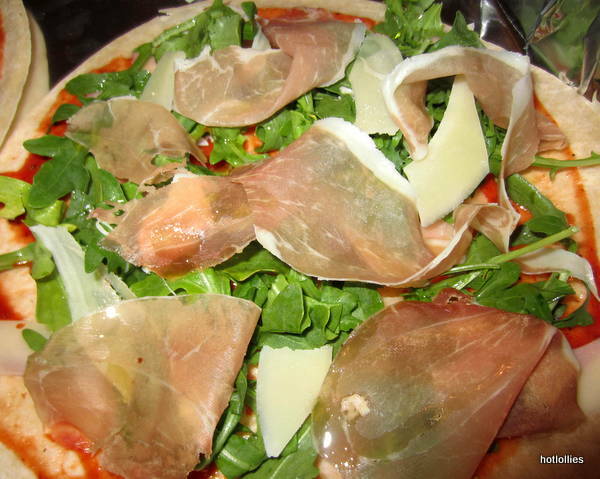 It’s true especially with the prosciutto and arugula pizza, the mild sweetness of the prosciutto and the peppery arugula are delicious and the citrus infused chile olive oil bring it all together. These would also be great for entertaining as well and you won’t be slaving in the kitchen! 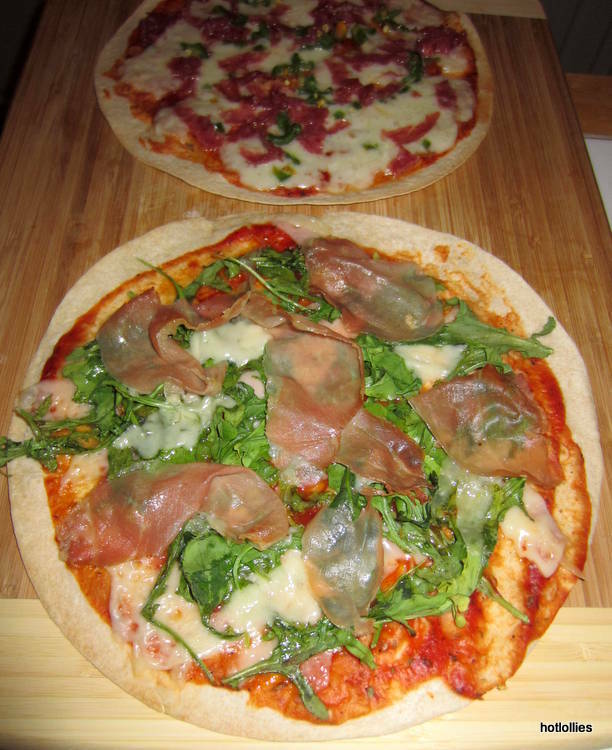 Just cut the pizzas into quarters for sharing and pair with some wine, maybe a Syrah or a Chianti? Season the tomato sauce with all the ingredients to taste. 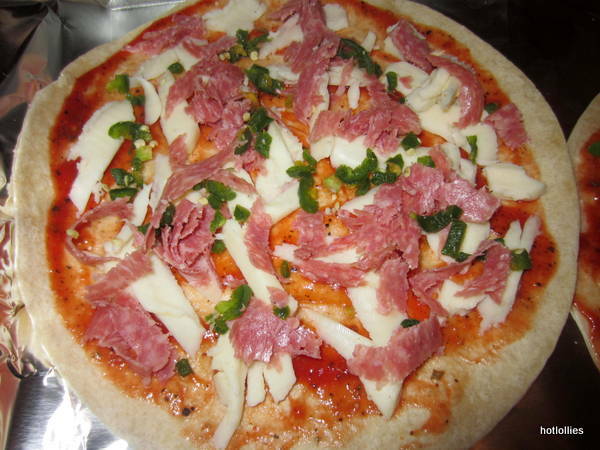 Make as much as you need based on the number of pizzas you want to make. For the two pizzas above all you’ll need is about 1/2 cup of sauce.